If There Is Something Concerning Rain Gutters - Call Us And We Will Help You Out. Just like any investment you make for your home or business, it’s important to maintain your rain gutters on a regular basis. Leaves from nearby trees, dust from heavy winds and standing rainwater can all cause major issues for gutters, downspouts and leader heads. If not addressed, the weight from such debris can make a gutter break loose from it’s connection to the roof. Clogging, of course, is another reason to maintain the downspouts and gutters of your investment. If a downspout is clogged then the rainwater will have no choice, but to build up and add weight to the gutters and eventually start to overflow and pull the entire drainage system off the building. 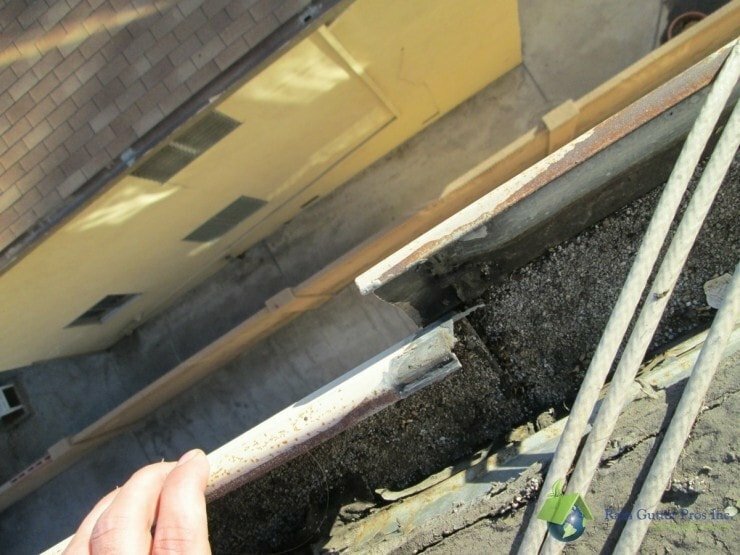 Another issue is if dirt and debris exist on the roof then it will eventually find its way into the gutters and through the downspouts…eventually landing on any landscaping or walkways near. Rain Gutter Pros Inc. offers an extensive cleaning service that covers your complete Rain Gutter System, including Downspouts, Leader Heads and other drainage components. We also check and clear the entire roof of debris that could cause potential issues to you system down the line. Please keep in mind that cleaning rain gutters can be dangerous. 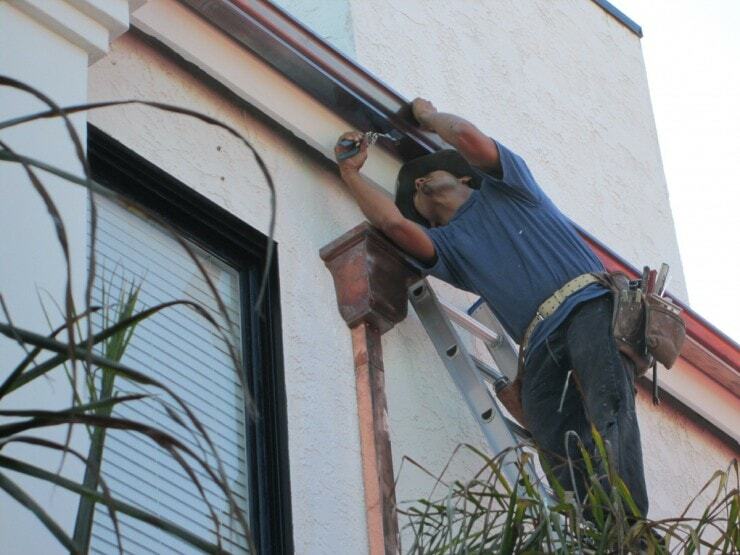 That is why it’s important to leave the job to the pros… The Rain Gutter Pros! While our technicians are in the process of cleaning and removing harmful items, they perform a preventive safety and check on your entire gutter system. Once completed our technicians will provide you a list of any potential problems that they find so you are kept up to date on how your gutters are doing. One way to begin living a sustainable lifestyle is to add a rainwater collection system to your property. Rain Barrels can be an easy way to harvest and store rainwater from your roof that would otherwise be lost to runoff, diverted to storm drains or streams. A large barrel drum can be placed conveniently beneath any residential gutter downspout. The barrels are a useful way of collecting rainwater to be used in watering a garden or other landscaping. In Los Angeles, more environmentally conscious home owners are looking for ways to improve their home, while incorporating more green concepts. 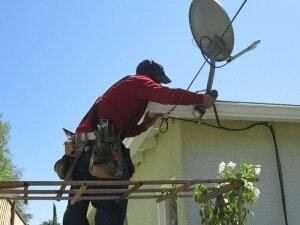 Rain Gutter Pros Inc., continues to find ways of providing products and services that home owners want. 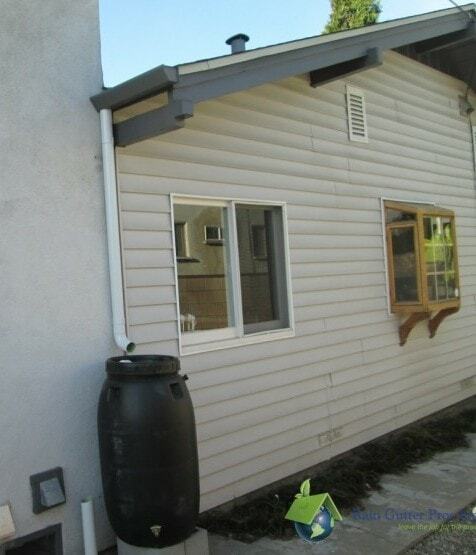 Learn more about Rain Gutter Pros’ Rain Barrels here. 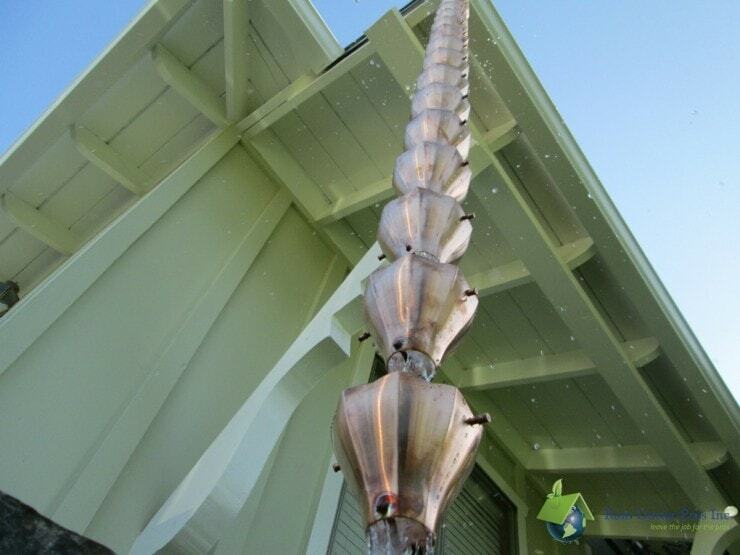 If you’re looking to add some flare to your home, Rain Chains a are great alternative to the common downspout. It’s visually appealing to watch as rainwater falls down an attractive rain chain or from cup to cup and then to the ground. For many homes in Los Angeles, it’s difficult to incorporate a water feature, Rain Chains not only provide a beautiful aesthetic, they can create a soothing outdoor environment. Learn more about Rain Gutter Pros’ Rain Chains here.